Why Exhibit at EXPONOR 2019? Metals, minerals, materials, energy. Below the surface the mining business is rebounding in South America, and Chile’s Antofagasta region is bracing for the boom. The Antofagasta Region represents the mining core of Chile, with 54% of the nation’s copper mined and produced here. On a global level, 16% of the world’s copper comes from Antofagasta; in addition, Antofagasta is the world’s leader of various other metallic and non-metallic minerals. 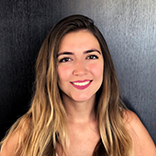 EXPONOR 2019’s “point-of-sale proximity” to major mining operations in and around Antofagasta makes it a ground-level opportunity for any company that can help operators in the region produce more for less. And the word is out: the 2017 show saw more than 1,000 exhibitors and 40,000 visitors from 30 countries, and organizers are projecting a bigger show in 2019. To sharpen your focus — and your pencils — the U.S. Commercial Service have published Chile’s Mining Fact Sheet stating the major challenges and opportunities of the mining sector in Chile. Whether you’re already connected in Antofagasta or looking to break in, it's time to stake your claim in Chile. Now turn up the volume by exhibiting in the USA Partnership Pavilion to enhance your event opportunities, strengthen business relationships and maximize your market impact at the show. From pre-show support to on site activities including VIP hospitality, market briefings and mine tours, Kallman improves your prospects for success at this important event. Review the details below, and contact us to lock in your location on the front lines of Chile's mines. Exponor 2019 is the foremost mining exhibition of Latin America, which has become the most important business platform of the region. The show will attract international delegations, high profile executives, authorities and government representatives - the USA Partnership Pavilion will be a focal point for anyone looking for U.S. innovation, quality and commitment. In 2017, EXPONOR hosted more than 1,000 exhibitors from 31 countries, and 40,000 visitors, including buyers from some of the regions's biggest operators — BHP Billiton, Rio Tinto, Anglo American, Freeport-McMoran, Barrick Gold, Glencore and Codelco. To foster conversation, organizers coordinated more than 120 technical talks and nearly 2,000 meetings with mining company executives. Organizers estimate the last edition generated nearly $1 billion in sales among participants, and the show is expected to grow in 2019. 3 Strategic Conferences staged for Exponor 2017: "Mining Investment Projects in Chile", "Technological Challenges in the Mining Industry" and "Woman in Mining: 50-50 Employment share, a contribution to productivity"
7 Mining companies hosted on-site visits in 2017: SQM, Centinela - Antofagasta Minerals, Codelco Chuquicamata, Albemarle, Codelco Radomiro Tomic, El Abra - Freeport McMoran, Desalination Plant - EPM Group. 1,292 Face-to-Face meetings took place during Exponor 2017 between 98 mining company executives. 108 Technical Talks took place, an increase of 20% compared to 2013's event. The USA Partnership Pavilion is your export advantage at EXPONOR. Because it presents the highest concentration of U.S. equipment and services at the show, it's a magnet for buyers looking for American quality, innovation and partnership. The U.S. will be featured in pre-show and on-site activities that will surely attract more interest from buyers, opinion-leaders and influencers. 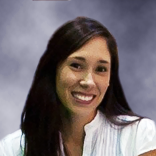 Kallman's operated in Chile for three decades, and we staff a full-time office in Santiago. Capitalize on our inside access to decision-makers and influencers in country to generate more attention and interest at EXPONOR. U.S. Embassy Santiago, proudly representing the American people, works to strengthen our bilateral ties with Chile, address global challenges, advance human rights, and further the security and prosperity of the United States. 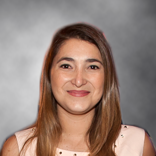 The Americans and Chileans who constitute our team represent many U.S. government agencies and come from diverse backgrounds, bringing a wealth of experience and skill to this Embassy. Using the resources entrusted to us, we lead efforts that bring the U.S. and Chile together in a productive and mutually beneficial partnership. 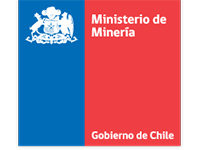 The Ministry of Energy is the cabinet-level administrative office in charge of matters related to energy in Chile. To lead the development of public mining policies aimed at raising the contribution of mining activity to national development, diversifying the activity to take advantage of the resources available in sustainable conditions and valued by the citizens. The Chilean Copper Commission (COCHILCO) is a specialized technical agency established in 1976. 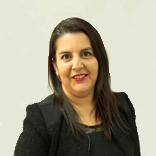 Cochilco advises the Chilean government on matters concerning the production of copper and copper byproducts and metals and industrial minerals mining, except coal and fuels. Both Chilean and foreign miners acknowledge Cochilco as a reliable source providing timely assessments of leading sector issues and problem-solving policy, strategy, and action proposals. 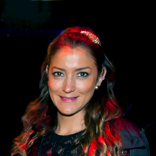 Given its inclusive nature, Cochilco provides a common ground for public and private players seeking to work on initiatives designed to bolster mining sector growth. 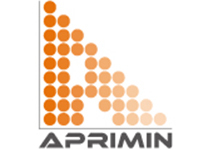 APRIMIN, the Association of Industrial Suppliers of Mining, was created in December 2003 with the basic objective of promoting the rationalization, development, protection, progress, improvement and information of the mining industry. 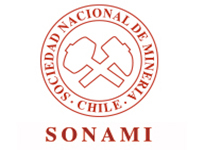 SONAMI, the National Mining Society of Chile, has been the reference and voice of small, medium and large private mining in Chile since 1883. Our long-standing editorial and marketing relationships with leading mining industry media companies bring extra attention and insight to the USA Partnership Pavilion at EXPONOR 2017. Look for real-time Headline News from our industry media partners on our website and at our on-site Newsstand during the event, where you can also pick up copies of their latest publications. E&MJ has provided in-depth editorial and operational insight to the international mining community for 150 years, and continues to serve the industry with an experienced and knowledgeable editorial staff. 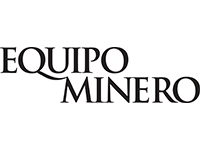 Mining professionals throughout Latin and South America trust Equipo Minero for mining news. Published four times a year en Español, Equipo Minero reaches the region's most important producers. Rock & Dirt is the equipment marketplace. 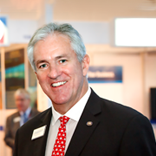 "WorldWide's" mission is to serve the industry we have a lot of respect and admiration for - DRILLING - across the globe and beyond. WorldWide Drilling Resource Drilling Magazine brings the most up-to-date information, services, equipment, and technology to the forefront to enable you, whether you are a driller, supplier, distributor, or manufacturer, to perform your job with the least amount of effort possible with the best results. In addition, these magazine articles are a great resource for anyone working in the drilling industry - from the president to the clerk, it will aid you in your everyday work. In addition to industry-wide PR and media relations efforts, Kallman will work directly with international media leaders to provide news, information and insight to the USA Partnership Pavilion during Exponor 2017. Leading business association of northern Chile, representing the interests of the leading players in the mining, energy and water sectors. Exponor is organized by the Antofagasta Industrial Association, AIA, a well-known Chilean business organization with an uninterrupted record of 73 years, which brings together 210 large mining companies and suppliers of goods and services to the industry. The AIA has been a key agent in the strategic development of a Mining Cluster, the second stage of which is currently being implemented in the productive sector. Particular emphasis has been given to promoting associativity, opportunities for professional specialization and organizational development, seminars and platforms for business, all with a marked tendency towards social responsibility. 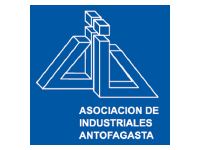 The AIA has developed strategic projects such as SICEP, Don Bosco Technical-Industrial School (Antofagasta and Calama), the Social Responsibility Program, the Center for Business Development,and most recently the Antofagasta Convention Bureau, which aims to promote business-related travel and tourism. These projects support the consolidation of regional and national long-term strategies. Stand out as a USA Partnership Pavilion exhibitor at EXPONOR 2019 with more promotion and media support from Kallman. The centerpiece of our program is the Guide to USA Partnership Pavilion Exhibitors. It's essential reading for international buyers looking for U.S. suppliers, and Kallman distributes hundreds-to-thousands of copies on site at the show. For Expo-Nor 2017, we'll also post an interactive online directory at kallman.com for worldwide reference. Every exhibitor in the USA Partnership Pavilion receives a free listing in the Guide and a cross-reference in their product or service categories.